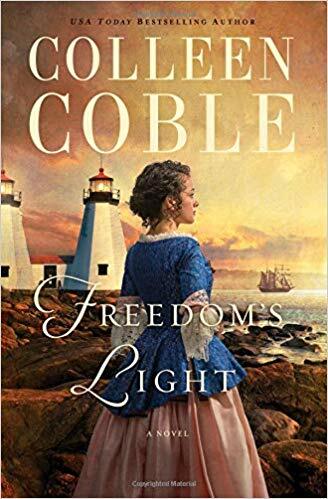 Best known for her contemporary romantic suspense novels including The View from Rainshadow Bay, which recently hit the USA Today bestseller list, Colleen Coble takes a historic turn in her new book, Freedom’s Light, releasing Sept. 11. 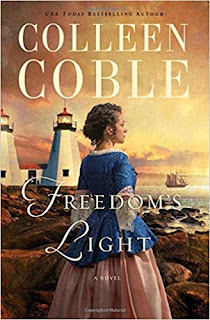 Dreaming of this story many years ago, Coble is excited to finally bring a historical romantic suspense to her readers. Hannah Thomas does her best to escape Galen Wright’s sinister intentions by marrying an older lighthouse keeper in faraway Massachusetts. Despite her hasty getaway, Hannah’s world is turned upside down when John is killed in one of the first battles of the Revolutionary War. 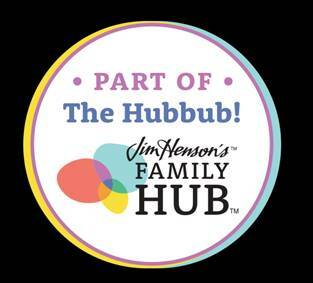 Though John’s family disapproves, Hannah is permitted to continue the difficult task of tending to the twin lighthouses in her husband’s place. Her sister Lydia arrives, and Hannah believes her loneliness and heartache will subside now that her sister is keeping her company. Much to her dismay, Lydia obsesses over Galen and her desire to marry a Tory, escalating the dangerous tides swirling around her. Will Hannah and Birch put aside their differences and follow their hearts, despite being on opposite sides of the war? With rich characters, detailed scenery, and a glimpse into Revolutionary War America, readers will love the suspense and redemption in Freedom’s Light.